St. Patrick, the patron saint of Ireland and the Irish, was born around 385 A.D. in Northern Wales. He brought Christianity to the country through much teaching. He died on March 17, 461 A.D. The anniversary of his death is celebrated as Saint Patrick's Day. The first official celebration of St. Patrick's Day in the United States occurred in Moorestown, New Jersey in 1780. Today St. Patrick's Day is celebrated by the Irish, as well as many other Americans with the wearing of green, song, dances, parties, and parades. People wear the color green in memory of Ireland, the Emerald Isle. There are many symbols to this holiday, although children tend to associate the color green, the shamrock and the leprechaun with this celebration. The Irish love folktales about imaginary fairies. The most famous of these "wee folk" are leprechauns, who are shoemakers for all the other fairies. 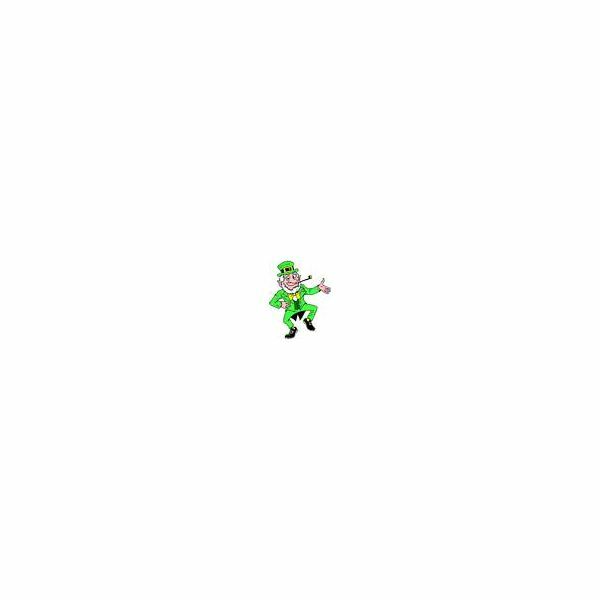 A leprechaun looks like a tiny old man. They are tricky and mischievous. Legend says if you catch one, he is forced to reveal the location of his pot of gold. In this article you will find preschool activities for St. Patrick's Day to take across the curriculum for fun and learning skills. This game is very similar to the traditional Simon Says version. You or one of the children becomes the "leprechaun." Say, "The leprechaun says to hop on one foot." The children must hop on one foot. Then say, "Stop" Children must keep hopping on one foot until you say, "The Leprechaun says stop." Repeat with other commands such as take one baby step forward, step backwards, turn around, or sit down. Sometimes the leprechaun will say, "The leprechaun says… " and sometimes he won't. This game helps young children develop their listening skills. Cut out many gold paper circles, and write or draw simple directions on each. Hide the coins around the room, prior to the beginning of school or during naptime. Make a leprechaun's pot by folding the top of a brown grocery bag and stapling a paper strip to each side for a handle, so it resembles a large pot. Turn the children loose for a treasure hunt and set a limit on how many coins they can find. Then after they have found theirs, the children can help others (those wanting help) to find gold coins. Everyone drops his/her coins inside "the pot." At circle time, pull out and read the coins and have the children act out the directions on them. For example coins may say, "Turn around three times and sit down." "Clap your hands twice and shake your neighbor's hand." "Wave your hands and jump up and down three times." Cut a coffee filter into the shape of a shamrock. Place water into two cups. Let the children add yellow food coloring to one cup and blue to the other. Give children cotton swabs and let them mix the colors on the coffee filter shamrocks. The shamrocks will end up with various green designs made from the primary colors of yellow and blue. No two will be identical. Sing this song to the tune of "I'm a Little Teapot"
I'll have to give you my pot of gold! Provide each child with a plain Styrofoam cup. Have the children draw leprechaun faces on the sides of the cup with markers and then glue on cotton beards. When the glue has dried, invite the children to fill their cups with potting soil and sprinkle on alfalfa seeds. Gently water the top of the cup. Place these leprechaun cups in a sunny spot and have the children water them daily (or when they get dry). Alfalfa seeds sprout quickly, and it won't be long before each leprechaun has a head of green "hair." Blend 1 banana, 2 cups lime sherbet, and 2 cups milk. This turns into a healthy and delicious green shake. The recipe makes about 2 cups, so you will need to adjust this recipe to the size of your class. Enjoy the time leading up to March 17th with these fun and exciting preschool activities for St. Patrick's Day. The kids will love them! These activities have been taken from the author's classroom experience.